A year and a half ago I could'nt imagine myself as a runner. Neither was my husband. He heard about Trail running, and entered a race and started training. 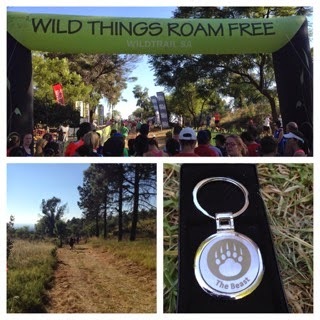 I accompanied him to that race - The Buffelspoort Trail run in January last year. As soon as I arrived I knew I wanted to be a part of this. So I decided to become a trail runner - I had no intention of running on the road - I could think of nothing more miserable than road running. 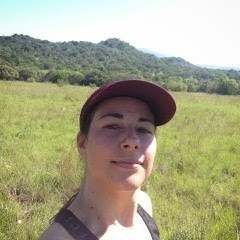 My husband and I started looking around for places to go trail running on weekends. We have two small kids, so getting somebody to babysit while we go running was sometimes a challenge. 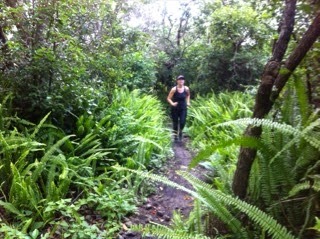 For a few months we were trail running and entering races when ever we could get the chance. 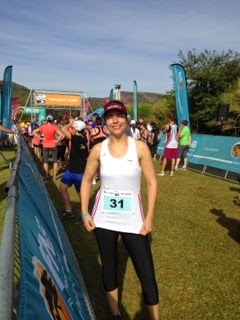 Then as we were running one winter morning at B'sorah - our favourite trail running venue, it struck me - ITBS. I would get ITB pain every time during a run for the next 3 months. 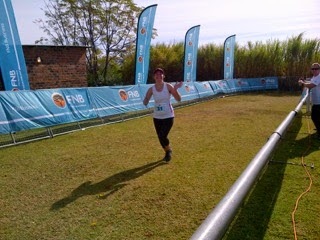 I was crushed - I really enjoyed running and didn't want to give it up. I kept on running, hoping the pain will go away. We heard about foam rollers and decided to get one. I rolled my ITB every time before and after a run, and eventually the pain went away completely. The foam roller is really the best thing since sliced toast. 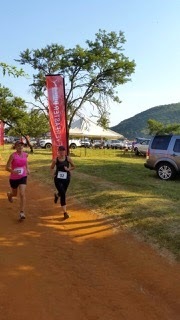 I could finally run again pain free and entered that same Buffelspoort Trail run that got me hooked and finished top 20 under the ladies. I would describe myself as a "social runner", because I love to take pictures as I run and posting them afterwards to social media. I run with my Iphone in-hand. 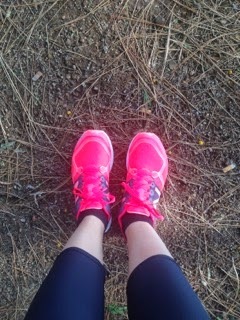 Due to my "social sharing", New Balance seleted me for their #seemyrun campaign. They were kind enough to send me a new pair of New Balance Fresh Foams straight out of America with a New Balance hoodie. New Balance instructed the participants to try these Fresh Foams out, take pics and Hyperlapse videos and post them to Instagram. I was lucky to be featured on their website with one of my videos. I have run a few street races, but I still prefer trail running. Trail Runners seem to care more about the environment and that means a lot to me. Future plans? I hope to one day complete a triathlon, that looks like fun!